New talent and True Grit star Hailee Steinfeld is officially the new face of Miu Miu. To me Hailee and MiuMiu are a lovely match! What do you think about Miuccia’s choice of the new face?? Together with Elle Fanning, Hailee represents a new generation of natural and down-to-earth, young actresses, who have fun with fashion, without overdoing it. We want to see more of that!!! 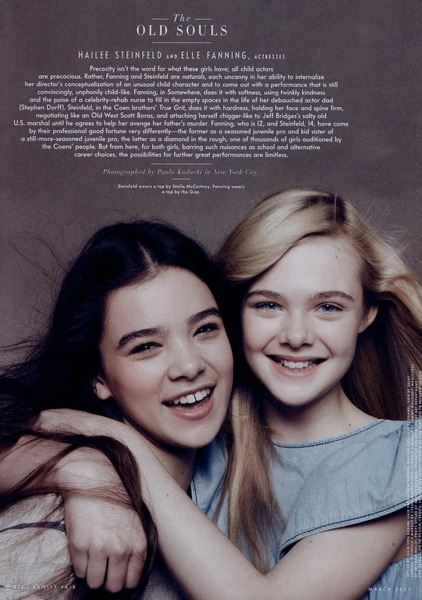 Hailee and Elle styled by Julia von Boehm for the Hollywood issue of Vanity Fair!